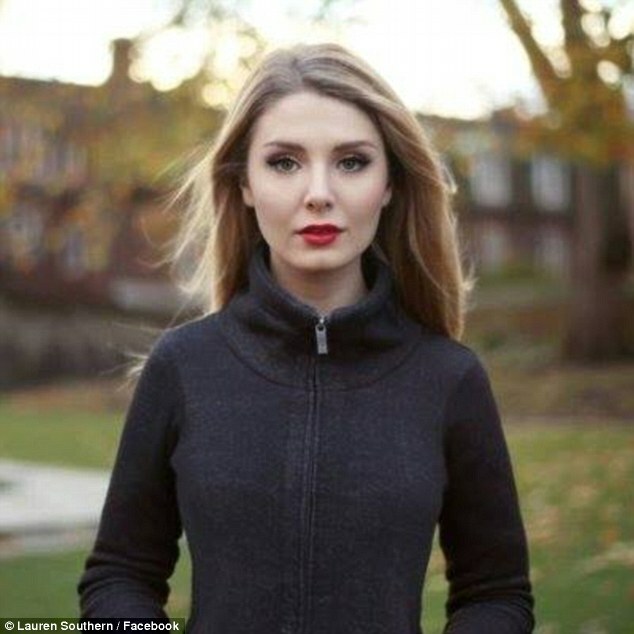 Lauren Southern Tells About Being Denied Entry to Britain Because of Her “Rightwing” Views: 500 Jihadis In; Canadian Writer Out! A Canadian journalist has become the third so-called anti-Muslim activist accused of racism to be barred from Britain in just 72 hours. 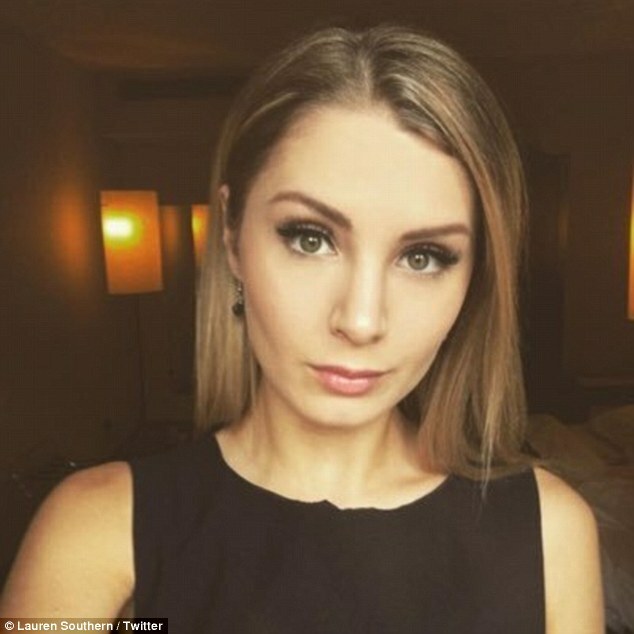 Border guards quizzed Lauren Southern for six hours in Calais where she was preparing to come to the UK to interview English Defence League co-founder Tommy Robinson. 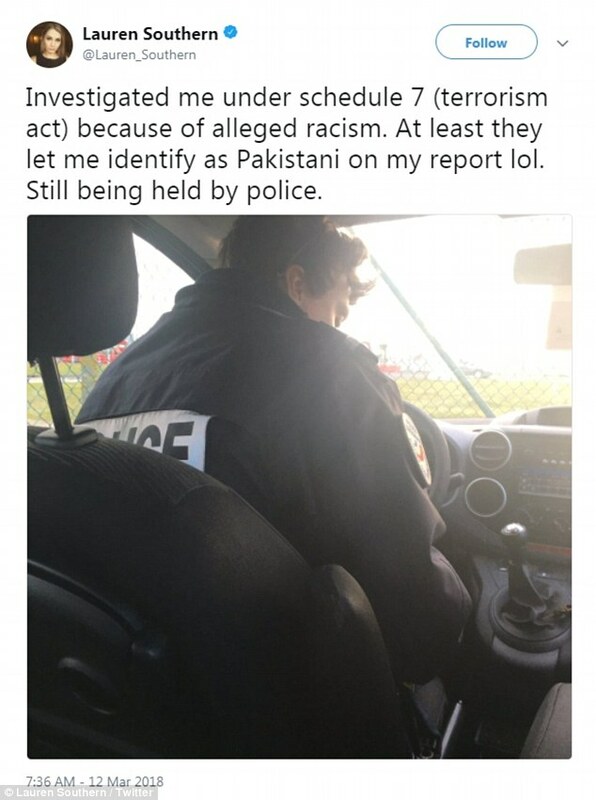 It is understood the 22-year-old was hauled in for questioning over concerns surrounding an incident last month in Luton where she is accused of distributing racist material in the form of Islamic posters. 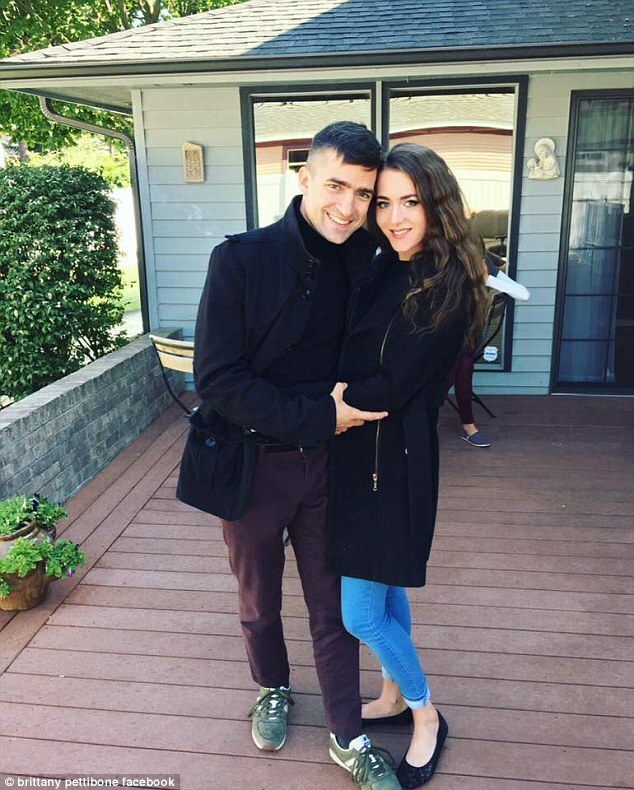 On Friday, right-wing Austrian activist Martin Sellner and his American girlfriend Brittany Pettibone, a YouTube commentator and author, were detained by the British government. 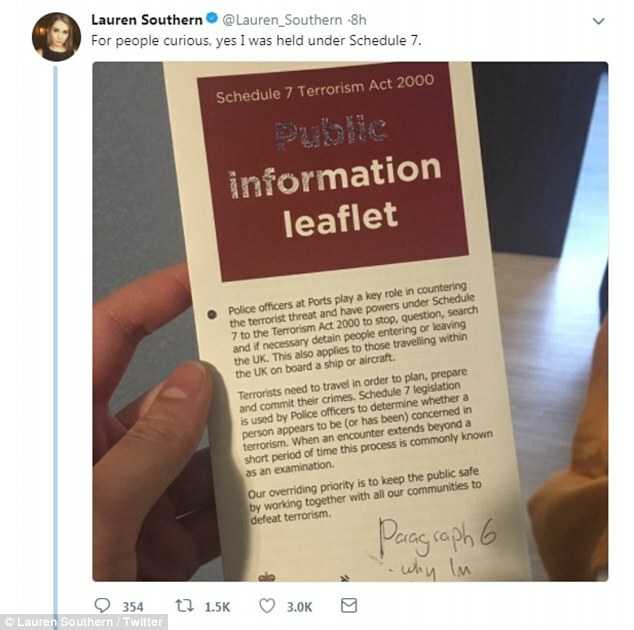 Southern took to Twitter to document the incident, and said: ‘I’m not kidding about this, but during my questioning by the UK police. ‘I was asked about my Christianity and whether I’m a radical. 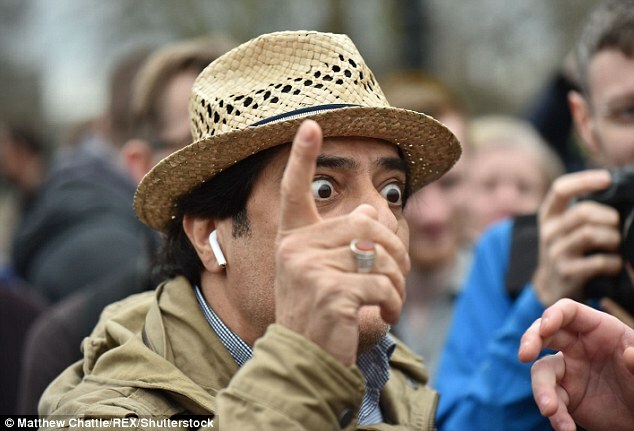 I was also asked how I feel about running Muslims over with cars. A British security official confirmed all three had been refused entry and said when Sellner and Pettibone landed at Luton Airport, north of London, on Friday, border police refused to allow them to enter Britain. They were detained and then deported on Sunday. The official, who spoke on the condition of anonymity, said the couple had been banned from entering by Britain’s Home Office on the grounds that their ‘presence in the UK was not conducive to the public good’. On Monday, British border police stationed in the French port of Calais also denied entry to Southern. 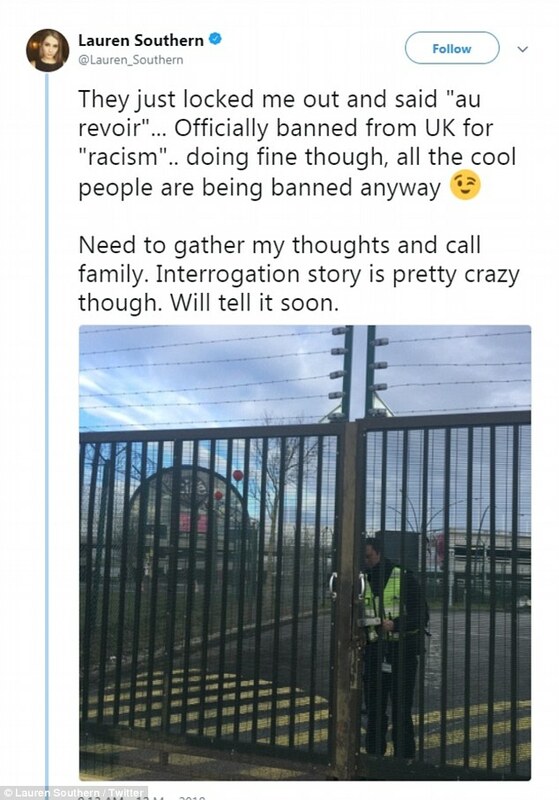 After being detained, Southern tweeted that British authorities had told her she was ‘officially banned from UK for “racism”‘. 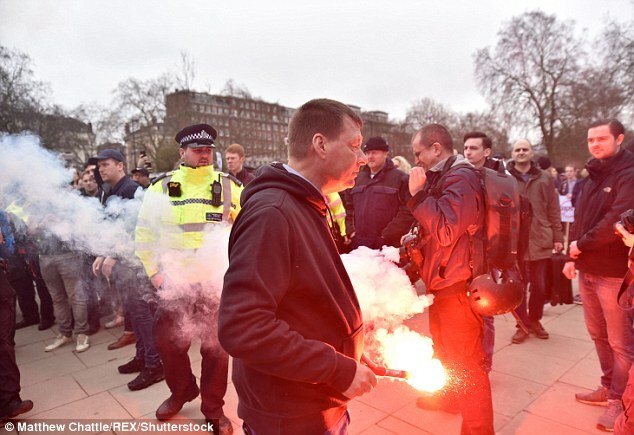 The official confirmed that British border authorities had denied Southern permission to enter Britain on the same grounds as the other two activists. 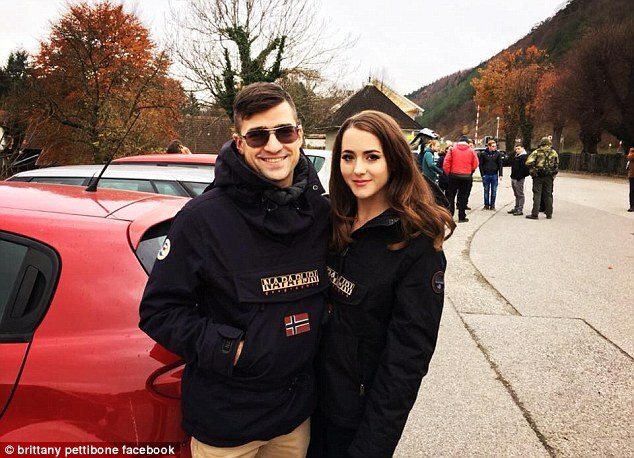 Southern was planning to meet Sellner and Pettibone in Britain, according to the conservative news website Breitbart. 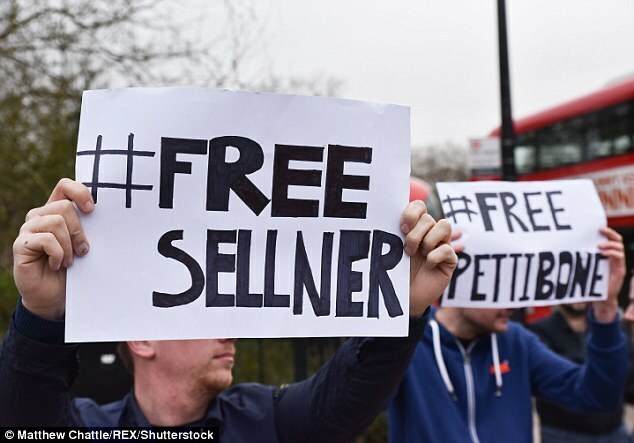 Breitbart also said Sellner had been planning to make a speech in London’s Hyde Park, but that papers served on him by the British authorities alleged the speech was likely to incite ‘tensions between local communities’. 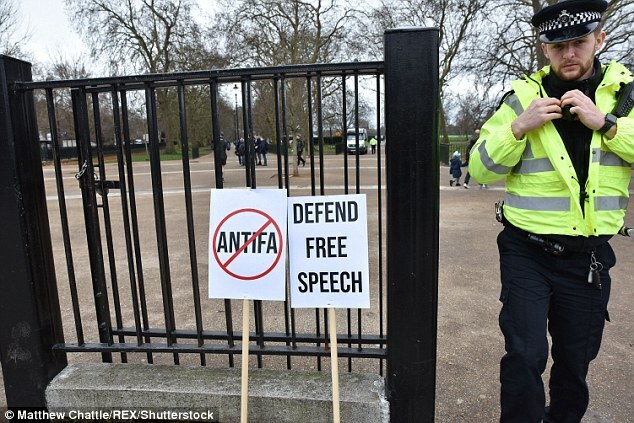 Breitbart said Pettibone was blocked from entering Britain not only in relation to Sellner’s planned speech but also because she planned to interview Tommy Robinson. 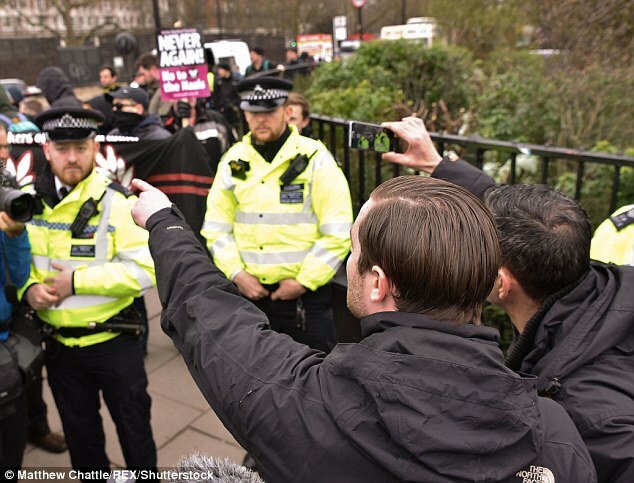 Experts who monitor Britain’s far right movements said the government had recently stepped up efforts to keep out ultra-right-wing foreign activists. 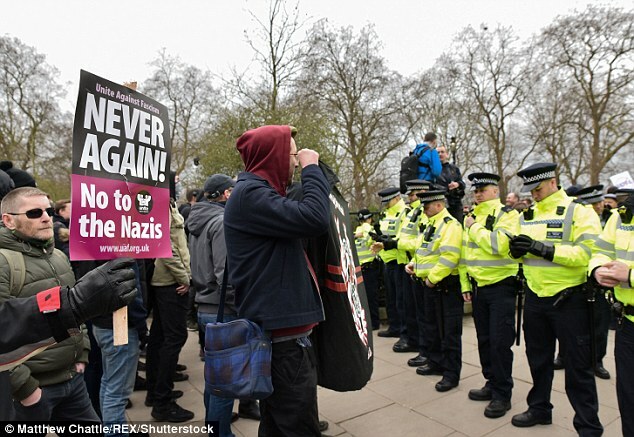 Among other Americans who have been banned from Britain are anti-Muslim campaigners Robert Spencer and Pamela Geller, and Mark Weber, who heads a California group known for Holocaust denial. 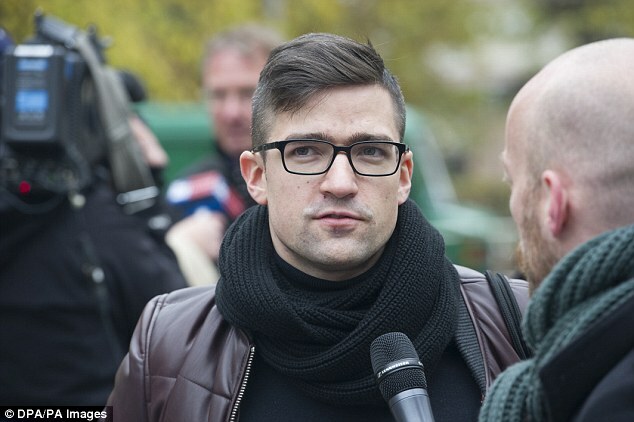 Sellner of the Generation Identity group and American commentator Pettibone tweeted Monday that they were denied entry into Britain. 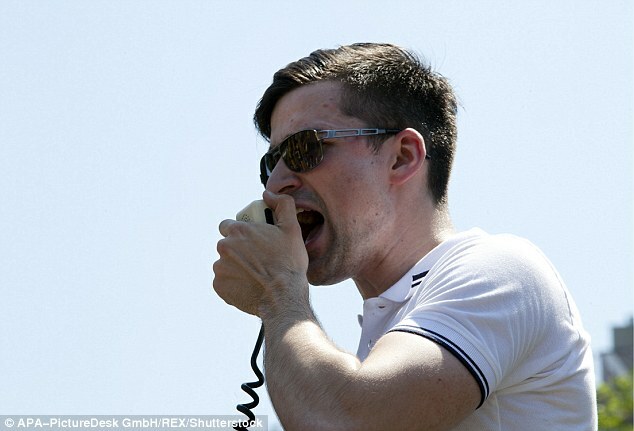 Mr Sellner said that ‘security risks’ and ‘left wing threats’ forced him to cancel an earlier planned event with UKIP‘s youth wing Young Independence. ‘This massive immigration is changing the face of our streets, of our cities, and soon the people who have been living here for thousands of years will be an endangered minority,’ Sellner said last year. He tweeted last Tuesday: ‘My speech for the Young Independence conference was cancelled for the 2nd time, due to security risks caused by left wing threats.